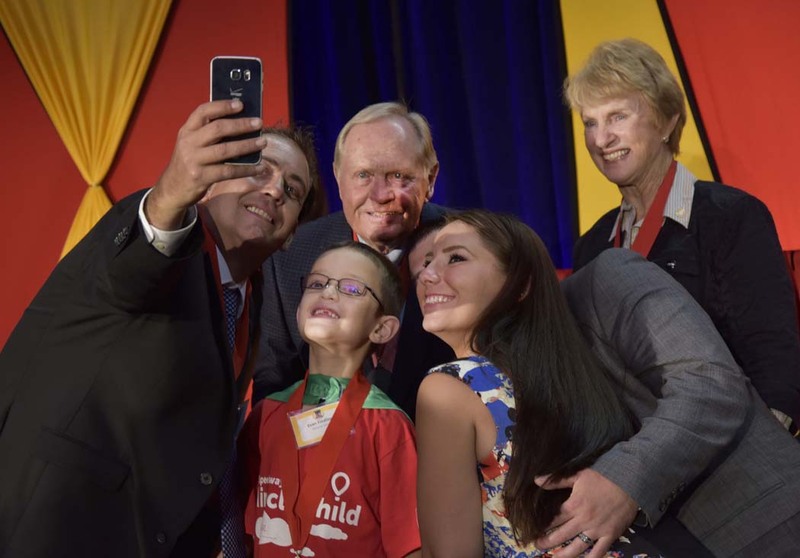 Jack and Barbara Nicklaus joined the team from Speedway, as well as vendor partners and representatives from 19 Children’s Miracle Network Hospitals, to help raise funds for CMNH and celebrate the daily miracles happening at these hospitals. The event, held Sunday night at Wright State University in Ohio, is part of a two-day push by Speedway to raise at least $2 million for CMNH and its 170 hospitals nationwide. The highlight Sunday night was a medal ceremony honoring 26 patients from the combined 17 hospitals in Speedway’s territory. Speedway has been a partner of Children’s Miracle Network Hospitals since 1991 and is the fourth-largest corporate donor to CMNH.